As of 2014, Arkansas has two institutions of higher learning that provide ultrasound technician programs. They are Arkansas State University (ASU), the University of Arkansas Fort Smith (UAFS), and the University of Arkansas for Medical Sciences (UAMS). However, only the training program at UAMS is accredited by the Commission of Accreditation of Allied Health Education Programs (CAAHEP). ASU offers its program through its College of Nursing and Health Professions, UAFS through its College of Health Sciences, and UAMS through its College of Health Professions. 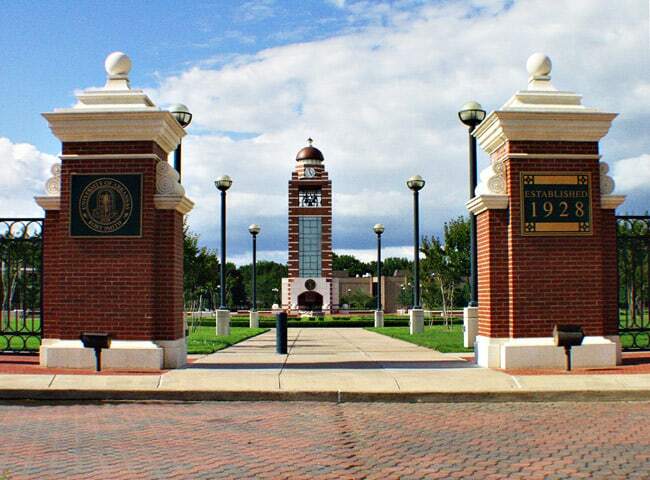 At the University of Arkansas Fort Smith, students have enormous goals and aspirations and the teachers are extremely professional and willing to spread and share their knowledge and skills. Students learn the basics of sonography and work their way up to becoming the best in the business and make themselves very marketable for the many entry level job positions that are available in that branch of the medical industry. Students learn anatomy, sonography, instrumentation, and take part in practice, seminar, and eventually perform clinicals to ensure they are ready for the job of a sonographer. If a satisfying and lucrative career in the digital imaging and sonography branch of the medical field sounds appealing to you, enroll yourself with University of Arkansas Fort Smith today! 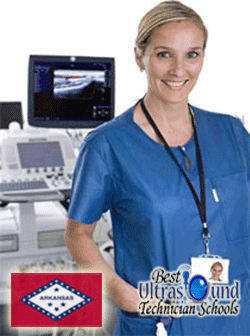 Ultrasound technician training programs in Arkansas are offered to undergraduates as Bachelor of Science (B.S.) degrees, often abbreviated as DMS programs. The curriculum is in a six-semester format (Fall, Spring, and Summer), which can be completed in two years. Typical subject areas in an Arkansas DMS program include basic patient care, sectional anatomy, medical imaging, legal and regulation policies and procedures, and abdominal, cardiovascular, and obstetrics-gynecology (OB/GYN) sonography. The program is usually preceded by some general educational requirements or prerequisites, which include introductory courses in ultrasound and human anatomy & physiology. Also included among the core courses are five ultrasound clinics or practical sections to give students hands-on experience or practical knowledge. Number of credits required for graduation vary depending on the school. For instance, UAMS requires 72 credits in total with 20 courses, while ASU has almost 30 courses in its curriculum. Upon graduation, ultrasound technician students are awarded the B.S. degree in Diagnostic Medical Sonography. At ASU, emphasis is placed on the abdominal and OB/GYN specializations.